Talentry is changing the way companies find new talent. We are convinced that HR leaders of the future will need to pursue a marketing- and sales-oriented approach to build up talent pools and win candidates. 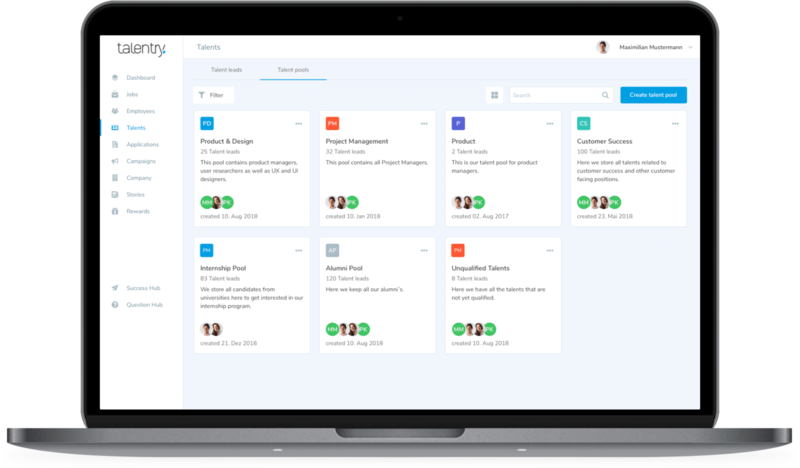 Talentry is a software-as-a-service solution that can be seamlessly integrated with your existing recruiting processes and applicant tracking system. 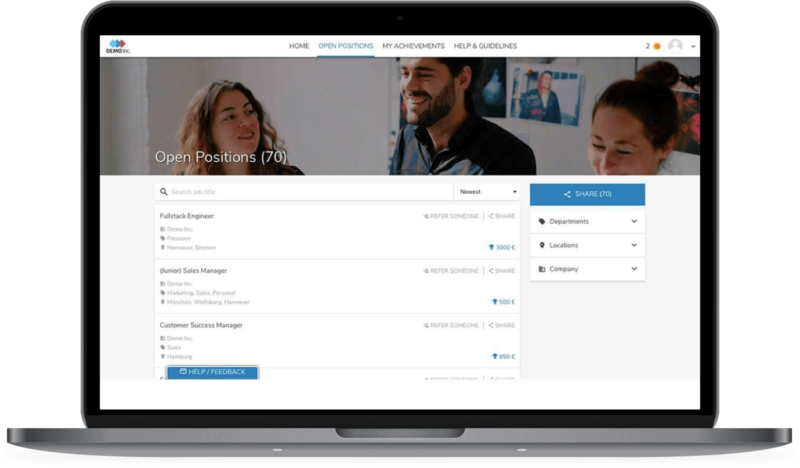 Talentry is the only recruitment marketing software that simultaneously empowers your employer brand, enables you to generate new talent leads, and strategically build relationships with candidates. All in one platform. With Talentry CRM you can identify, organize and engage talent. With Talentry Jobs & Stories your employees become recruiters and brand ambassadors by sharing vacancies and corporate content in their social networks.